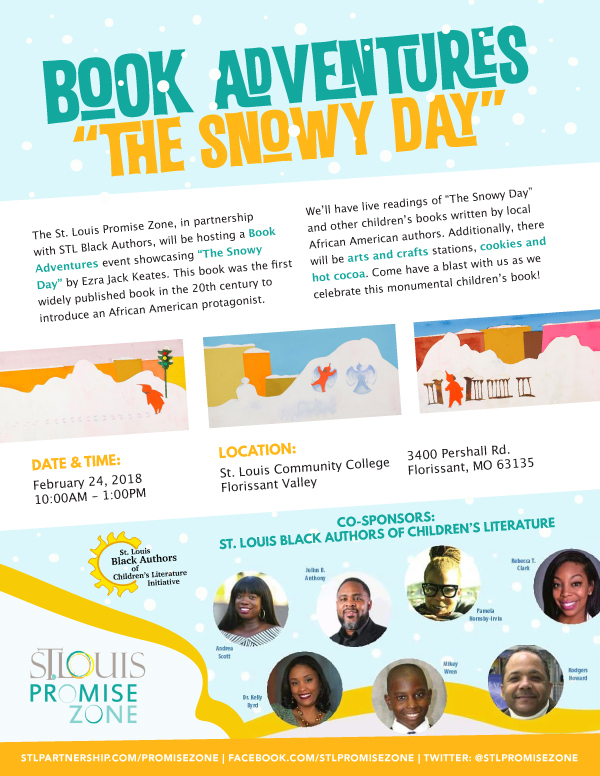 The St. Louis Promise Zone, in partnership with St. Louis Black Authors of Children’s Literature, will host a Book Adventures event showcasing “The Snowy Day” by Ezra Jack Keates. This book was the first widely published book in the 20th century to introduce an African American protagonist. The event will include live readings of “The Snowy Day” and other children’s books written by local African-American authors. Additionally, there will be arts and crafts stations, cookies and hot cocoa. Come have a blast as this monumental children’s book is celebrated!